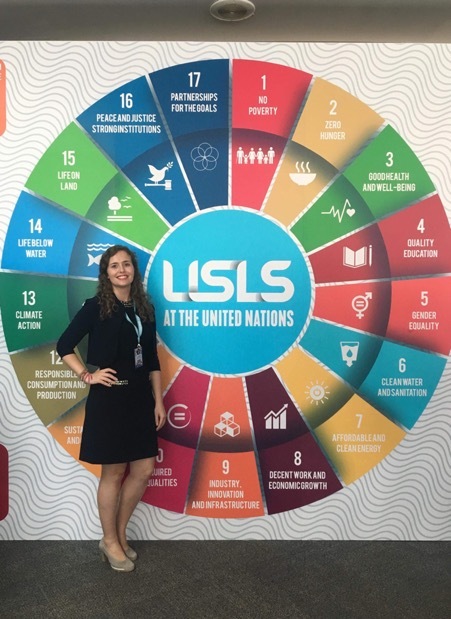 The 9th UN University Scholars Leadership Symposium (USLS) took place at the Office of the United Nations in Bangkok, Thailand, from 1 to 7 August 2018. The theme “Inspiring Confidence, Inspiring Change” drew 1,057 delegates from 87 countries, and I was one of them. 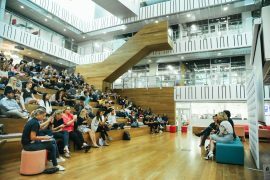 In May, I decided to apply for the QUT Business School Sponsorship to attend the event. I am studying a Master of Business majoring in International Business and hold a Bachelor of International Relations. I have long used reports by the United Nations and related institutions for university projects, news writing and market research work, but I wanted to learn more about the day-to-day activities of the UN that aim to stimulate economic development, respect for human rights and preservation of the environment. It is not often that we get to say that our expectations were exceeded, but in my case, the USLS gave me more than I could have asked for. Thailand’s capital city was the location of this year’s USLS. Thailand is a beautiful, tropical getaway in the minds of most and Bangkok is its cultural capital. 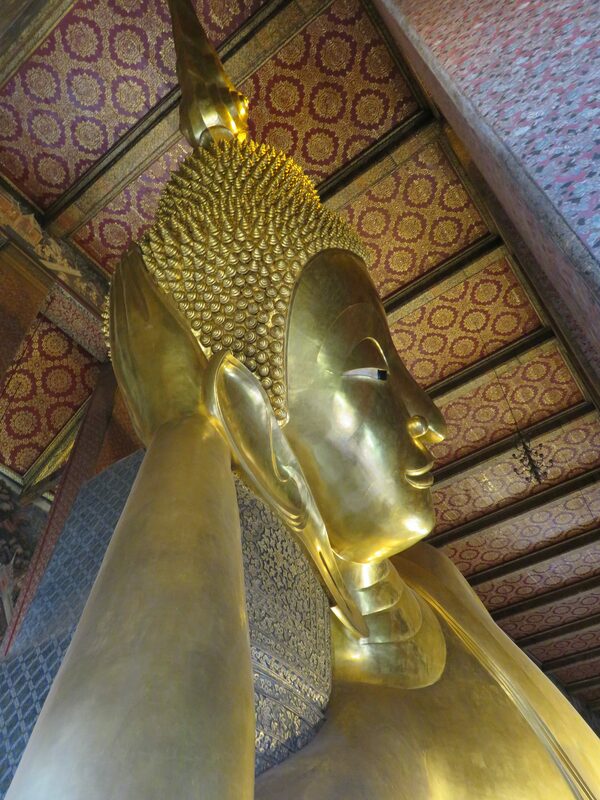 The delegates were on a tight schedule, but timely arrivals allowed for visits to the gems of the old city, such as the Royal Palace and the Temple of the Reclining Buddha. In the evenings, many enjoyed outings to Bangkok’s quirky night markets and elaborate shopping malls. Bangkok was welcoming to all 1,057 delegates, and this shone through at the symposium, where we were received by the Mahidol University College of Music and were bid goodbye by traditional Thai dancers. While it was nice to have some fellow QUT students there with me, making new friends was easy. The atmosphere was relaxed, and everybody was looking to share which humanitarian issues they are passionate about. Over the short duration of the USLS, I have forged what I know will be lasting friendships with delegates from Mexico, Kenya, Japan, China, as well as closer to home in other parts of Australia. All of these people came with a passion, from ethical supply chains to bettering the lives of people with disabilities to helping people who have been displaced by natural or man-made catastrophes. Like myself, they felt the benefits of being able to discuss these issues with inspiring speakers and panellists. And that is why I want to share the topics discussed by the speakers who taught me the most. Mahbubani is a professor at the National University of Singapore, author and former Singaporean ambassador to the UN. On the first day of the symposium, he spoke about the role of multilateral institutions in monitoring the behaviour of states. Multilateral institutions like the European Union, ASEAN, World Trade Organisation, World Bank and indeed the UN play an important role in how countries interact and collaborate. Mahbubani addressed the fact that these institutions, particularly the UN, face constant criticism due to their limitations in creating binding obligations on matters concerning human rights and the environment. But, as he put it, “there is no alternative to the UN when it comes to saving the world”. Indeed, when it comes to creating alignment on issues that affect or will affect the world as a whole, no institution has been more successful than the UN. Cox is a former Australian diplomat who has dedicated her life to helping disadvantaged children in the Southeast Asian country of Cambodia. While the atrocities of the Khmer Rouge are now a thing of the past, the country still faces many challenges as a result of the genocide of its’ educated and wealthy population over the years of 1975 to 1979. Today, issues of poverty and organised crime remain widespread and often affect children, who are sold into begging rings or exploited through labour or prostitution. Cox aims to rescue children from these paths of life and provide them with a home, access to medical care and education. Many of these children then go on to complete university studies or vocational training, allowing them to break the cycle of poverty themselves. Creating change where it is needed most has been challenging for Cox. It confronted her with things that were difficult to accept and process, but she is clear about one thing: there is nowhere in the world where she would rather be. Wood left his corporate job in the United States after his holiday in mountainous Nepal saw him visit a school with a library where not a single book was to be found. As a kid he had been an avid reader, and the fact that there were children who had never even seen a book bothered him deeply. He founded Room to Read, a charity that aims to provide children’s books with culture-specific, non-politicised content to schools around the world, from the remote villages of Nepal, to the Syrian refugee camps in Jordan to the plains of Africa. Moreover, the organisation trains and empowers local people to be able to take on the role of teachers. Wood’s philosophy on humanitarian work is straightforward and incorporates his business aptitudes: do not create more NGO’s but make existing NGO’s scalable and replicable in order to have a greater impact on a greater number of people. 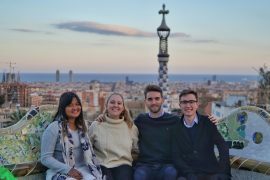 The 10th University Scholars Leadership Symposium will take place in a different location in the Asia Pacific. 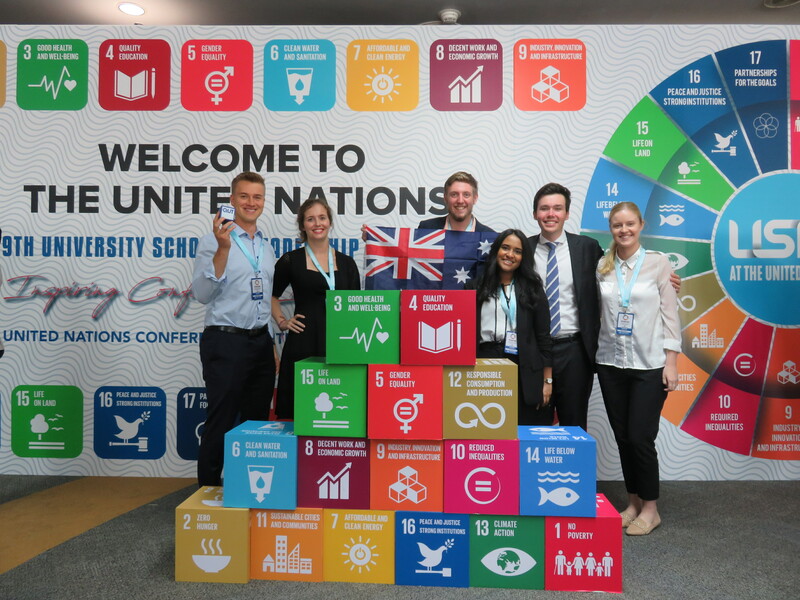 The location was announced at the closing ceremony at the USLS in Bangkok, but, I have decided to leave this a mystery for you… If you are a business student who cares about making the world a better place, keep an eye out for next year’s sponsorship. If you are still curious to know more, click here for the video of the symposium by Humanitarian Affairs Asia. What do I get out of QUT BLT? 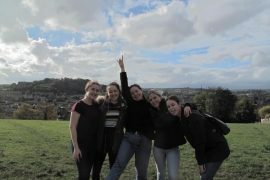 Corvinus Case Competition – Budapest!